You don’t find many Japanese custom shops creating HD cafe racers. But Hidemo (stands for Hide Motorcycles) are doing it in exceptional style. We friggin love this Harley. The bike is named the Mod Cafe 3 which is obviously a tribute to the cafe racer and Mod scene in Britian. It even has a Quadrophenia logo. For those that weren’t mods in the 60’s, Quadrophenia is the name of British rock band The Who sixth studio album. 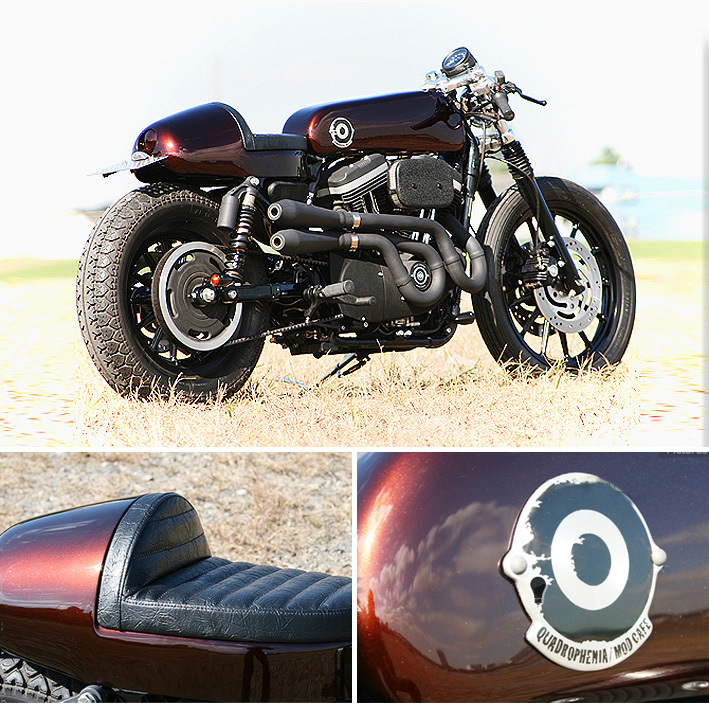 Overall it’s a beautiful cafe racer and a great tribute to one of the greatest rock bands the world will ever see.